Twenty-seven walks in and around the Leeuwin-Naturaliste National Park by Jane Scott with illustrations by Patricia Negus. 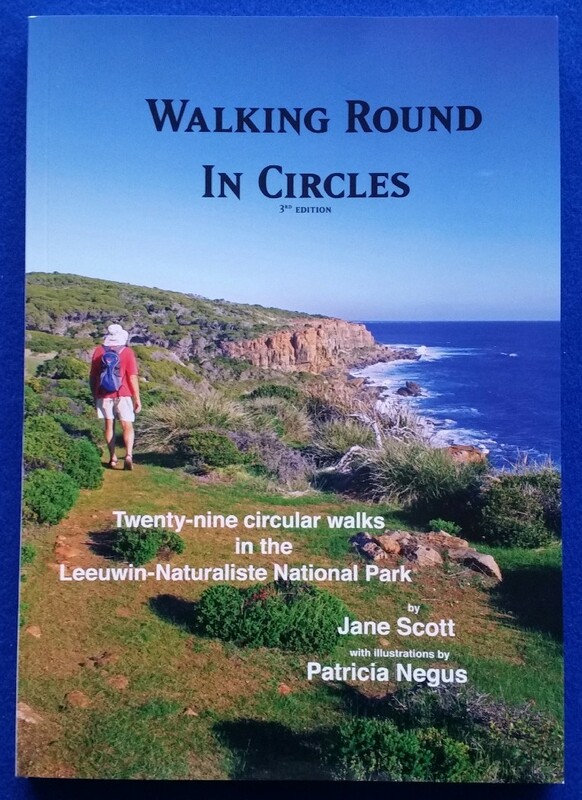 This book meticulously describes 29 circuit walks in the Leeuwin­-Naturaliste Ridge in Western Australia's Southwest. The walks vary in length from 2-17km. Includes detailed 1:25 000 colour maps, background notes on the landscape, geology, plants and animals that you may encounter on your way. Walking Around In Circles also contains a wealth of background material about the plants and animals that you may encounter. The Cape to Cape Track is located in the capes region near Margaret River. It begins at Cape Naturaliste near Dunsborough and ends at Cape Leeuwin near Augusta. A must not only for walkers, but for anyone who loves the natural environment and the Margaret River region.